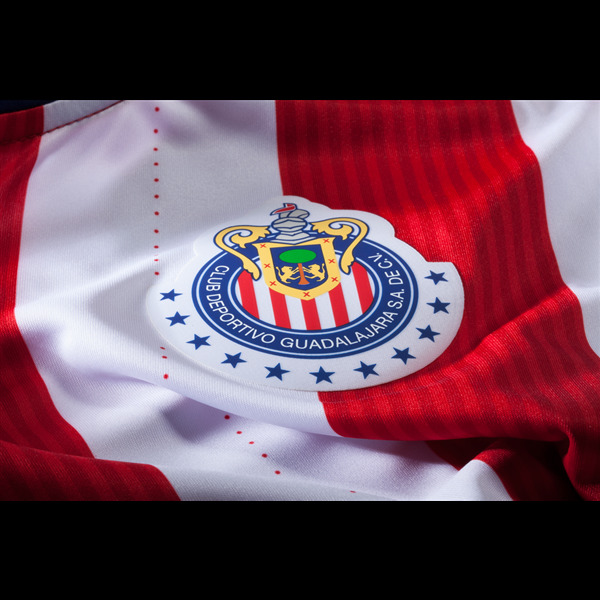 New shirt sponsor PUMA has designed a sleek look using the traditional red and white stripes. 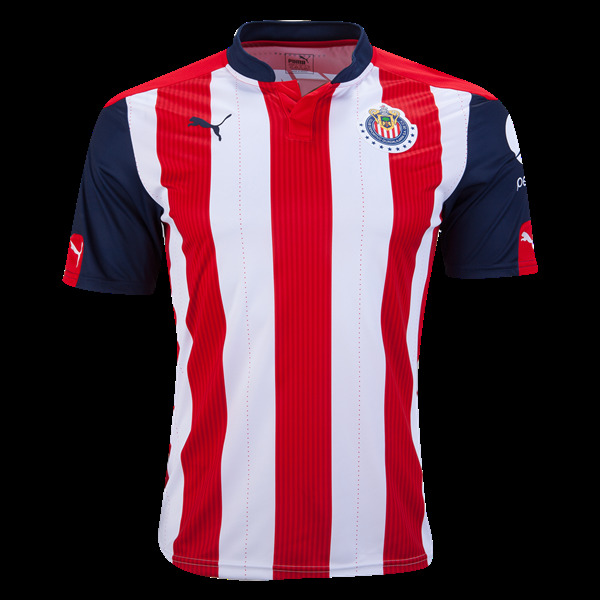 Within the red stripes are subtle pinstripes, with dotted lines on the white. The mandarin collar and sleeves are blue. 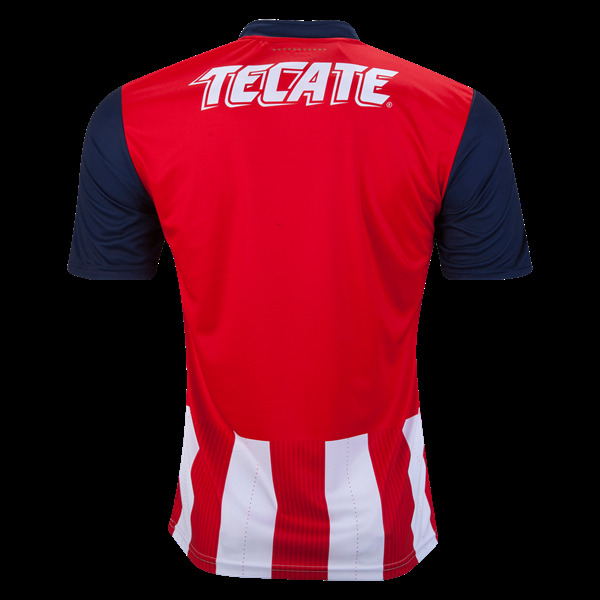 A red panel on the shoulder is trimmed with the Mexican tricolor, green, white and red.